Quality construction and materials, impeccable sound. Floyd Rose FR-18 Wood headphones are hand-crafted and deliver world-class sound combined with state-of-the-art high fidelity technology. Delivering true balanced highs and lows for superior audiophile sound, the FR18B delivers flawless sound clarity and comfort for an amazing sound experience in personal audio. A 50mm driver diameter and full 20-20K Hz frequency range give a beautifully warm and articulate recreation of sound. Anti-tangle detachable fabric cable with built-in microphone and volume control included. Cushioned ear cups offer superior comfort by contouring around the shape of your ear, delivering isolation from outside noise without adding bulk. Just like your fingerprint, wood grain is unique and makes each pair of Floyd Rose FR-18 Headphones a work of art. 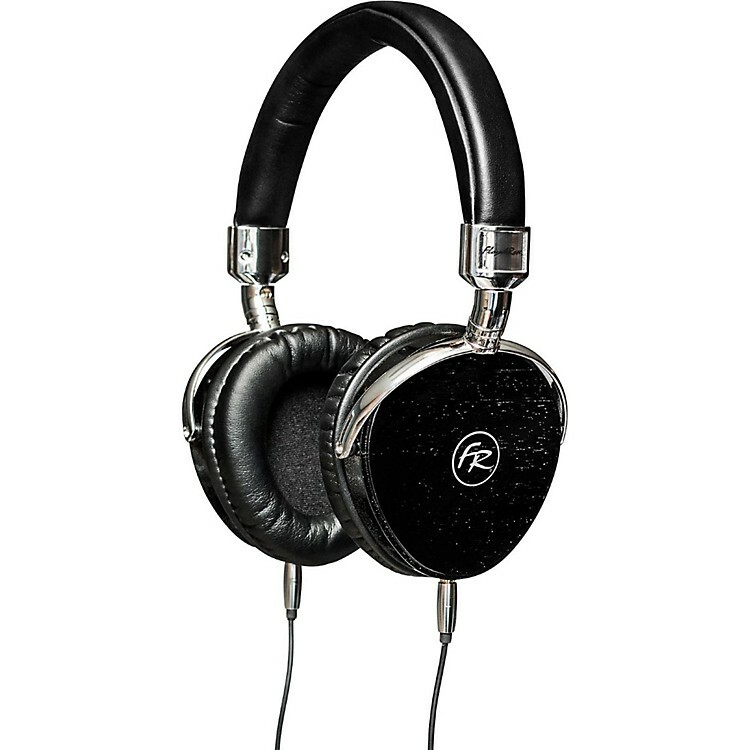 A fine pair of audiophile headphones deserves an unparalleled presentation. Each pair of Floyd Rose FR-18 headphones is packaged in a wood grain box that custom fits the headphones for maximum protection and ultimate style. Beautifully designed and constructed, these are an audio tool you will cherish for years.